Since its publication in 1908, Anne of Green Gables has been a continuous international best-seller, enjoying successful television adaptations on PBS and The Disney Channel, and captivating children and adults alike with the irresistible charms of its remarkable heroine, Anne Shirley. This wildly imaginative, red-headed chatterbox tries to fit into the narrow confines of Victorian expectations, but her exuberant spirit keeps leaping delightfully beyond the bounds. Indeed, when Maud Montgomery decided to reject the sermonizing formulas of the children's books of her day, she brought to life a character much closer to Jane Eyre, David Copperfield, and Tom Sawyer—also orphans, like Anne—than to the self-sacrificing, conformist heroines then in demand. In doing so, Montgomery subtly questioned the values of her society—the stifling restraints of its religion and most especially its treatment of women—while giving readers all the pleasures of her considerable story-telling gifts. Now, in this first fully annotated edition of Anne of Green Gables, readers will appreciate more clearly than ever before the scope and depth of this extraordinary novel. Editors Margaret Anne Doody, Mary Doody Jones, and Wendy Barry provide a richly illustrated, completely revised text, along with hundreds of notes describing the real-life characters and settings Anne encounters, the autobiographical connections between Anne and Maud Montgomery, and the book's astonishing range of literary, biblical, and mythological references. Additional essays offer fascinating background information on such topics as the geography and settlement of Prince Edward Island (where Anne takes place); the education, orphanages, music, and literature of Anne's time; and the horticulture, homemade artifacts, and food preparation that are so prevalent in the story. Margaret Anne Doody supplies a comprehensive introduction, which situates the novel in its literary and social contexts, explores those aspects of Montgomery's life most relevant to the story, examines revisions in the manuscripts, and provides an overall sense of both the impulses that drove Montgomery to write Anne of Green Gables and the larger concerns it dramatizes so compellingly. This edition also contains a chronology of Montgomery's life, an extensive bibliography, songs and poems that appear in the text, and a selection of original reviews of the book. This wealth of material enables readers to grasp the marvelous multi-layeredness of the novel and to understand more fully its place in both its own time and in ours. Elegantly and beautifully designed, with generous illustrations from previous editions, photographs of the places the novel inhabits, and explanatory drawings that reproduce the texture of Anne's world, The Annotated Anne of Green Gables is a major event in the publishing history of one of the world's most charming stories. 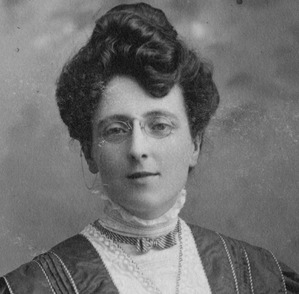 Lucy Maud Montgomery, publicly known as L. M. Montgomery, was a Canadian author best known for a series of novels beginning with Anne of Green Gables, published in 1908. Anne of Green Gables was an immediate success. The central character, Anne, an orphaned girl, made Montgomery famous in her lifetime and gave her an international following. The first novel was followed by a series of sequels with Anne as the central character. Montgomery went on to publish 20 novels as well as 530 short stories, 500 poems, and 30 essays. Most of the novels were set on Prince Edward Island, Canada, and places in the Canadian province became literary landmarks.